The 2016 Kensington “Paint the Town” Labor Day Weekend Art Show is September 3-5, 2016. One of the requirements for artists participating in this annual show is to create a painting inspired by is Maryland town. The town co-sponsors the event with the Montgomery Art Association. 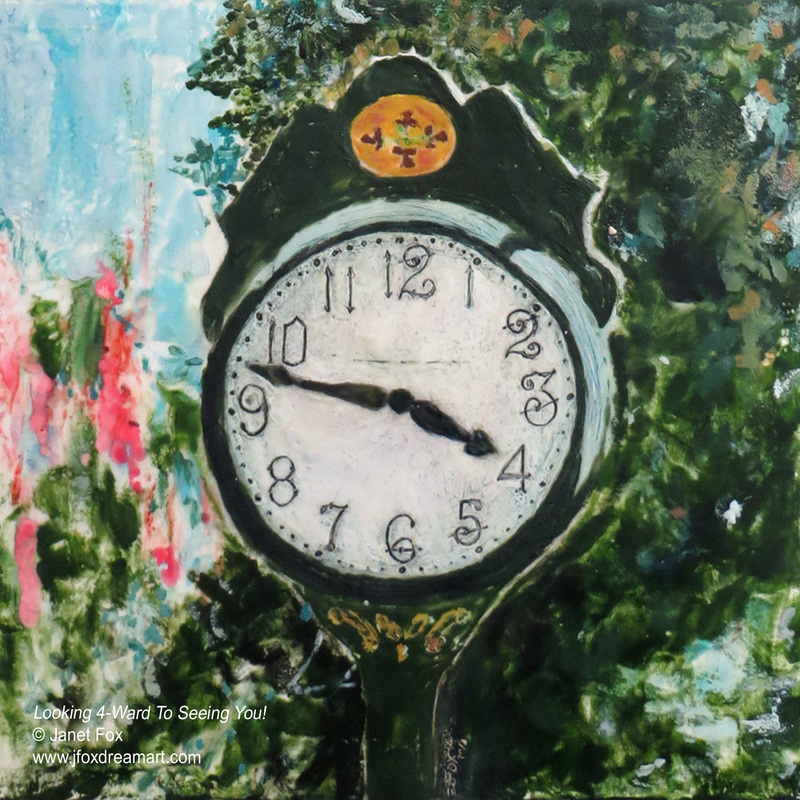 In recent years, I painted the town clock across from the Kensington train station, the carved wooden eagle statue in Veterans Memorial Park and the old millstone in Flynn Park. 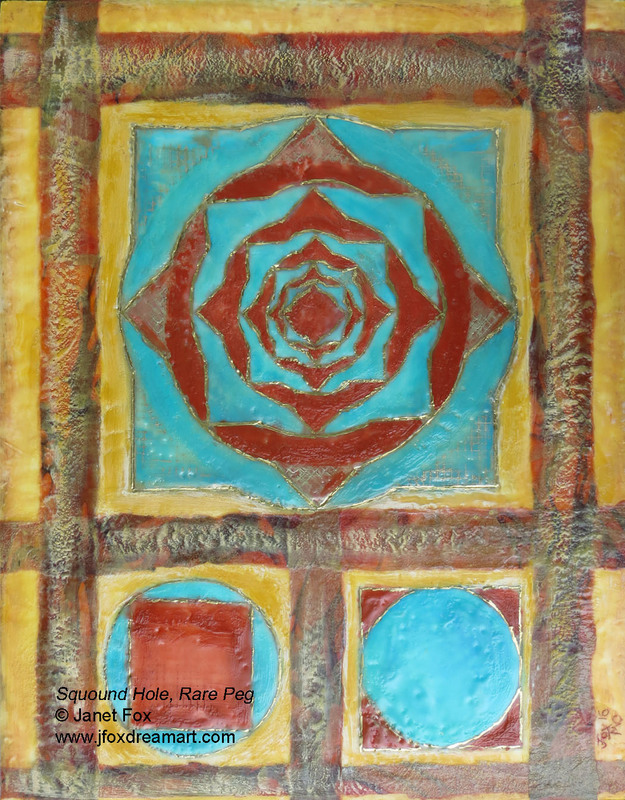 I used encaustic for each of these paintings, realistically portraying the subject. This year, however, I decided to take a more abstract path. My 2016 “Paint the Town” entry is based loosely on a map view of the streets around the Kensington Town Hall / Armory, at 3710 Mitchell Street. 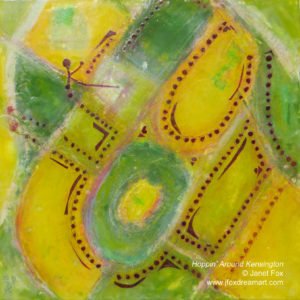 I fused several layers of green and yellow shapes, in paper and encaustic representing street blocks in a map view. The green and yellow mirrors the colors on many of street markers and signs around town as well as the town clock. This painting will be at the MAA’s “Paint the Town, 2016” Labor Day Weekend Art Show. If you’re in the area then, stop on by. 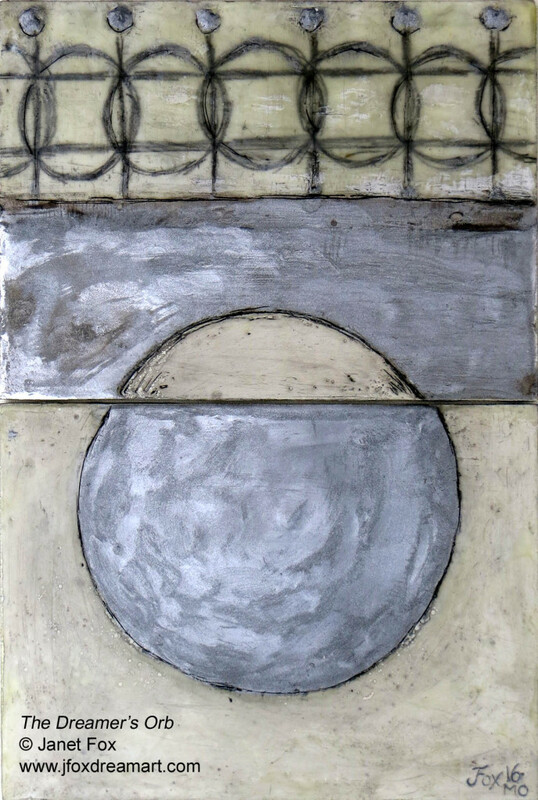 I’m also showing 5 other encaustic paintings and many new pieces in my black art bin. Plus, you’ll find many other artworks by artists from the Montgomery County, Maryland region.w. 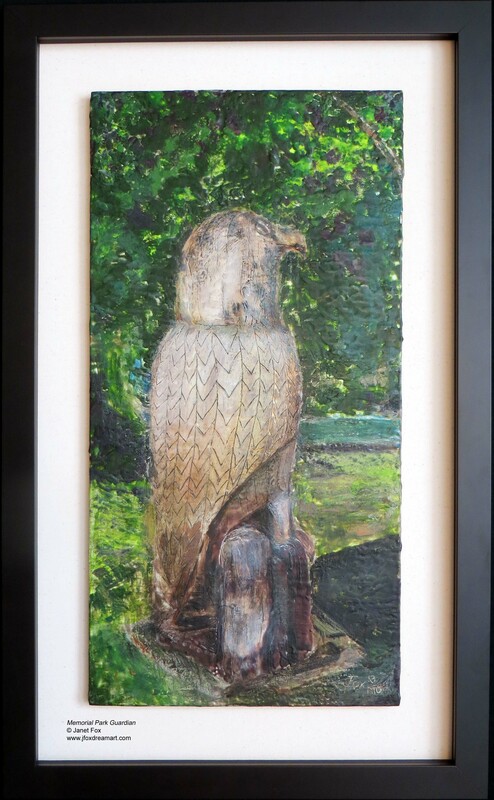 ⇒ For information about purchasing this artwork, on exhibit in the Kensington Town Hall Chamber Room, contact Janet Fox.